Welcome to the 36th nail art link party of 2015! Thanks for stopping by! If you would share with your friends or just pin your faves – all of the bloggers who share in these link parties (and me!) would appreciate it! The more we share – the more people find out about our nail art. Welcome to the 32nd nail art link party of 2015! Thanks for stopping by! If you would share with your friends or just pin your faves – all of the bloggers who share in these link parties (and me!) would appreciate it! The more we share – the more people find out about our nail art. 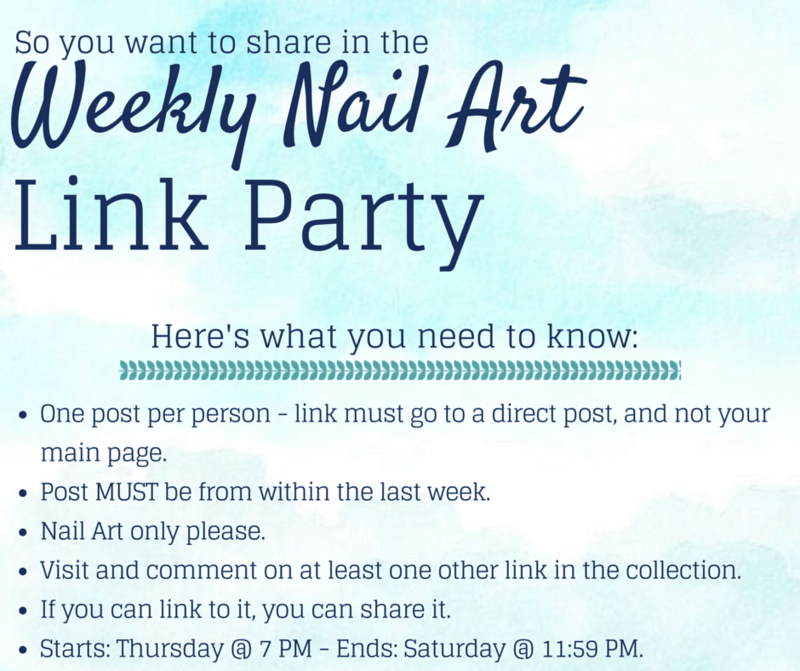 Welcome to the 27th nail art link party of 2015! I look forward to seeing everyone’s patriotic looks! Since it’s a holiday weekend, I went ahead and extended the length of this week’s link party so everyone can join in. Yay! Can't wait to revisit this page in two days and check out everybody's work!